An Electrical Alternator is used on a duplex pump application where automatic electrical cycling of the pump is desired for added protection in residential or commercial applications. With one pump operating to handle normal flow, a second pump becomes operational in the event the water level continues to rise. 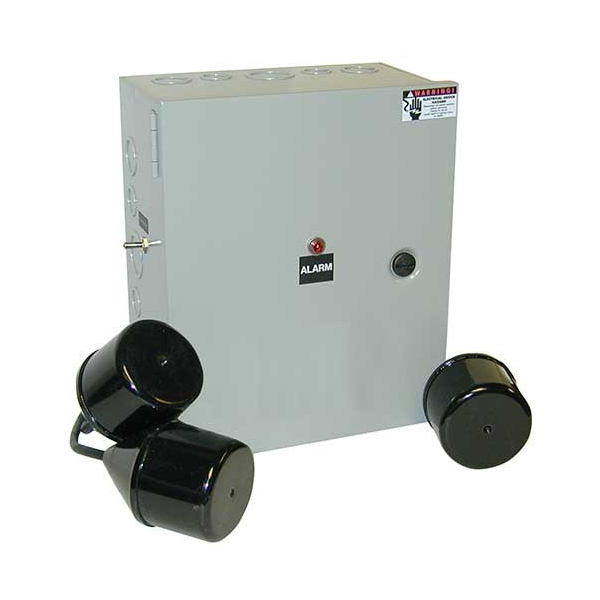 The built-in alarm system, a standard feature, can be connected to sound when the second pump becomes operational (3-float switch system) or independently (4-float switch system). All electrical systems must be installed by a qualified electrician and according to the National Electrical Code (see section 430-71 through 430-113, plus any others that apply).